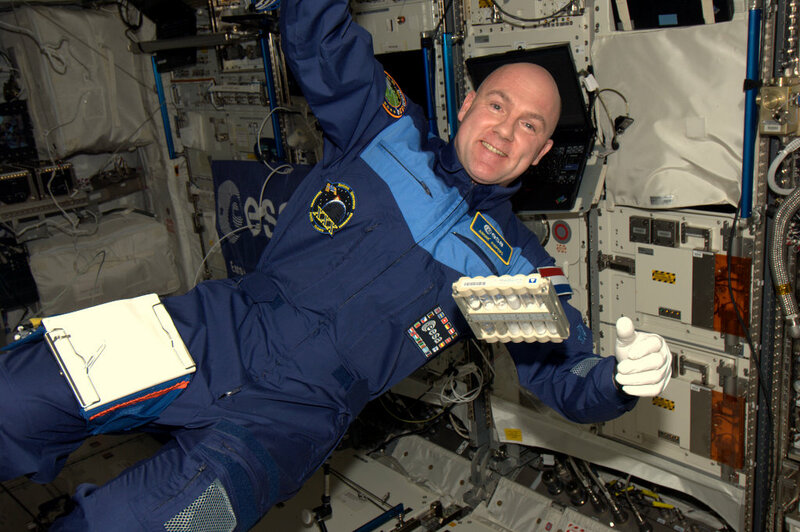 Over 1500 students in four European cities talked to ESA astronaut André Kuipers live on the International Space Station last Tuesday to discuss two space science experiments they have performed together. This once-in-a-lifetime experience brought together the four sites by videoconference: science centre Nemo in Amsterdam, the Netherlands, the Leicester National Space Center, United Kingdom, Parque de las Ciencias in Granada, Spain, and the Technik Museum in Speyer, Germany. Before getting in contact with space, the centres demonstrated scientific experiments to each other. They created fire explosions and super thick foams to show students the footprints of gravity and physics in our everyday life. 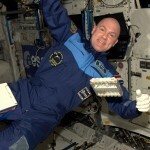 The astronaut encouraged the children to satisfy their bubbling curiosity and went on to answer their questions. Solar storms, blood circulation and the water behaviour in weightlessness were among the topics tackled. Read more about the event on the ESA Portal: Shake it up! This PromISSe mission education activity is part of the Spaceship Earth programme, run as Ruimteschip Aarde in the Netherlands.